Yes – we’ve come far. But, on the other hand, we haven’t. 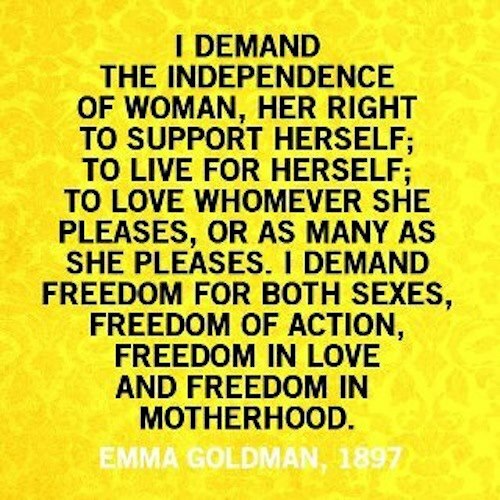 Same demands, though – including ‘FREEDOM for BOTH sexes’. Reblogged this on Musings from a misfit named Amanda. And we still can’t love whoever or how many we want, as another example. There is still a very long way to go. But there’s also a stirring, that’s starting to gain a voice. We have to keep standing up and saying, “No, I don’t accept this,” and teaching our daughters the truth about us gals and what we’re capable of.